It’s never too early to encourage a great vocabulary! 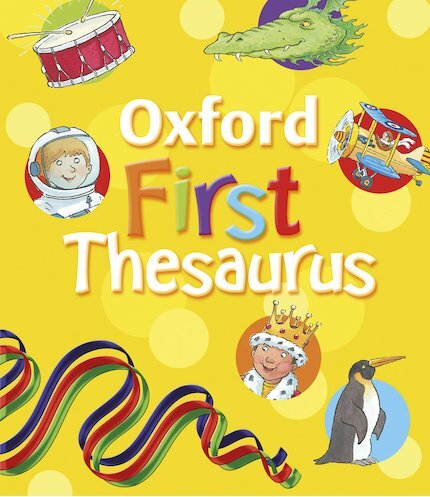 Specially made for the very young, this colourful book stimulates excitement about language and confidence with words. It focuses on frequently-used words, introducing each one on a dedicated page with cheerful illustrations. Each word has a simple definition, a range of alternative synonyms, and several short sample phrases to explain usage. Altogether there are over 1000 synonyms, with rainbow-bright artwork and plenty of guidance on how to choose the best words for each context. A lovely resource which every Key Stage 1 classroom should contain.